Cleaning is necessary on almost any doll purchased online or at flea markets and yard sales. Cleaning can remove dust, stains, battery corrosion, finger oils, and sometimes odors from the home of the previous owner or odors caused by the deterioration of the doll's materials. If you know what you are doing it can enhance the salability of a doll. If you don't know what you are doing you can easily damage painted surfaces, decals, or even the material the doll is made from. If you don't feel knowledgeable about what chemicals to use, or the process for using them, then it is better to hire a professional or leave the problem of cleaning to the purchaser. There are separate pages covering "Hair Care" and one on "Useful Tools" if you are considering do-it-yourself repairs. 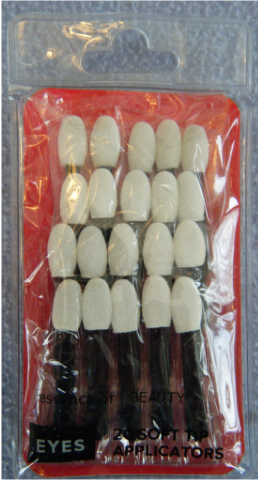 Many of the doll cleaning essentials can be found at Dollspart Supply. My sister has a tote filled with her most commonly used cleaning supplies. She has other products she employs depending on the condition of the doll being cleaned or repaired. I took the items out of her tote and photographed them individually so I could describe their uses. Target sells bundles of cotton washcloths at really reasonable prices. 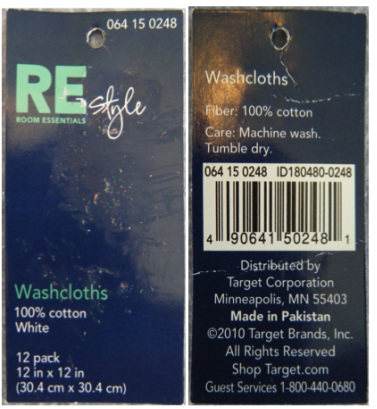 So reasonable that they can be treated as disposable if you are washing off greases, oils, and other "dirt" (or cleaning solutions) that you might not want to introduce into your washing machine. 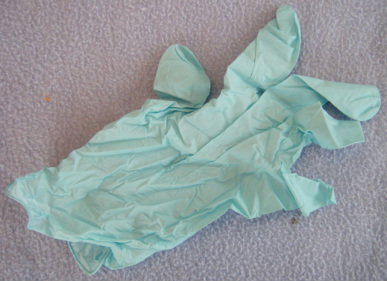 Disposable gloves can protect you from cleaning chemicals and also protect dolls that might have finishes or materials that are susceptible to damage from finger oils. These are great for cleaning around eyes, eyelids, ears, and noses. 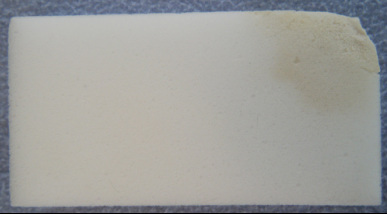 Magic erasers can be useful for cleaning up accessories like cribs and cradles. Using them on dolls is probably not a good idea as they can remove delicate paints and finishes as well as the ink or pencil mark you were going after. 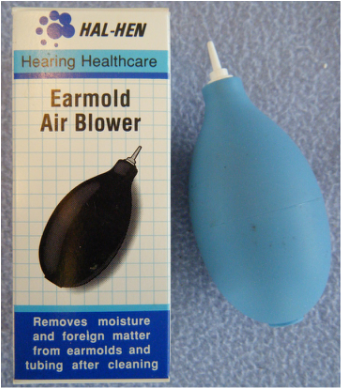 Air blowers from healthcare or photographic suppliers are better for eliminating dust from orifices and electrical/mechanical pieces without splattering your doll with saliva. 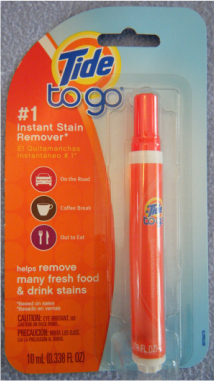 This type of stain remover works on doll clothes as well as human clothes. Carol's Miracle Doll Cleaner seems to be the ideal cleaning agent - it removes most dirt and stray marks with minimal risk to hard plastic or vinyl body parts. Care should be used around painted on features, like lips and eyebrows. 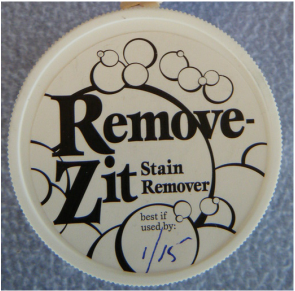 I've used Remove-Zit on several vinyl dolls that had ink or dye stains. Follow the directions and you should get good results. 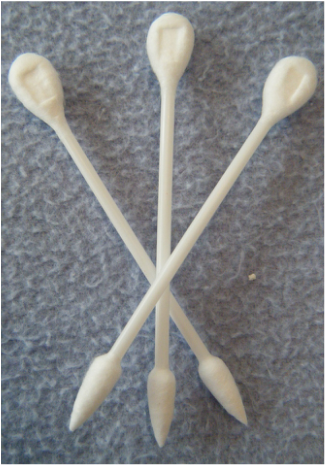 These are better than cotton swabs. They are soft and have tips that are well shaped for cleaning around facial features, dimples, skin creases, and getting between fingers and toes. 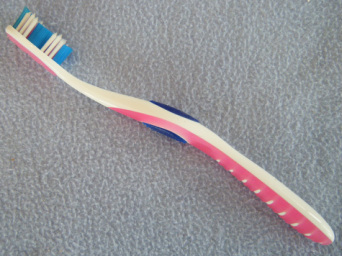 Dolls generally do not need to have their teeth brushed. Soft bristle brushes can be used behind ears but are often more useful for gently cleaning the dirty mechanical bits like motors and gears. 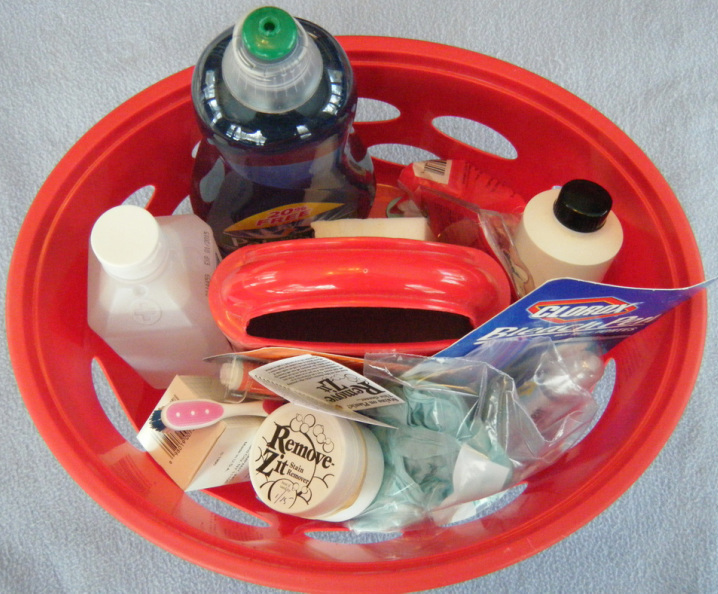 Dish soap can be good for cleaning plastic accessories like cribs and can be used to clean gears that might have old grease on them. Tougher clothing stains may require a bleach pen but proceed with caution - older fabrics might be damaged by bleach. Keep bleach products away from the doll itself.